Come check out the Healthy Fields booth at the 27th annual Moses Conference this Feb 25th-27th booth number N16. Come see how Healthy Fields can help out your operation, it doesn’t matter if you have thousands of acres of row crop or if you have a small truck farm, Healthy Fields has something to help out your operation, anything from organic fertilizers, soil amendment products to organic pest control. 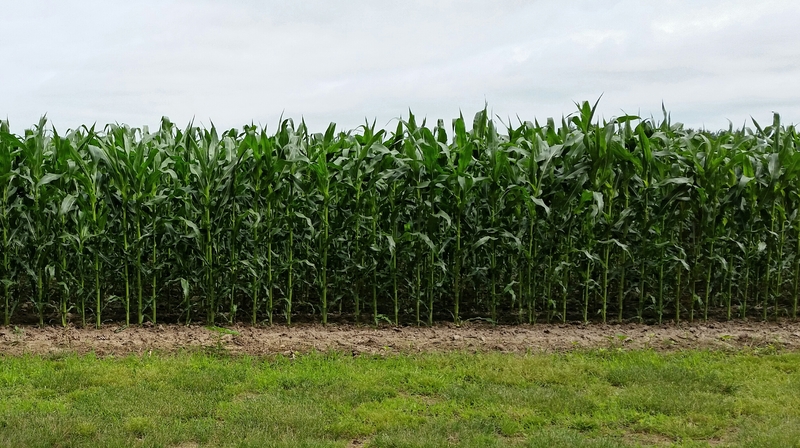 This SumaGreen Corn photo was taken on July 12th of this year, it is over 6 ft tall. The only thing used for inputs on this corn was a starter fertilizer and SumaGreen Ag. The farmer said that this field has never produced corn this good before. The soil is a heavy clay, with a lot of the the nutrients bound up in the soil. 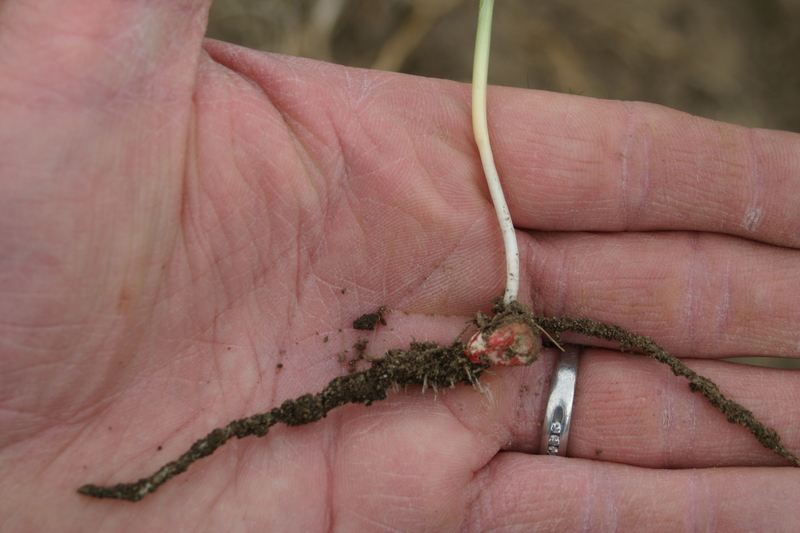 I just wanted to share this photo of a sweet corn plant/seed after three days in the ground, that root is about 3″ long and the plant was just breaking above ground. This farmer said it would take about 5 to 7 days for this verity of seed, and the only thing he did different this year was adding SumaGreen into his program. Healthy Fields is going to have a SumaGreen booth setup at the Northern Green Expo in the Minneapolis convention center on January 8th, 9th and 10th of 2014. Stop by to see the great results we got in 2013, we will be located at booth #313.